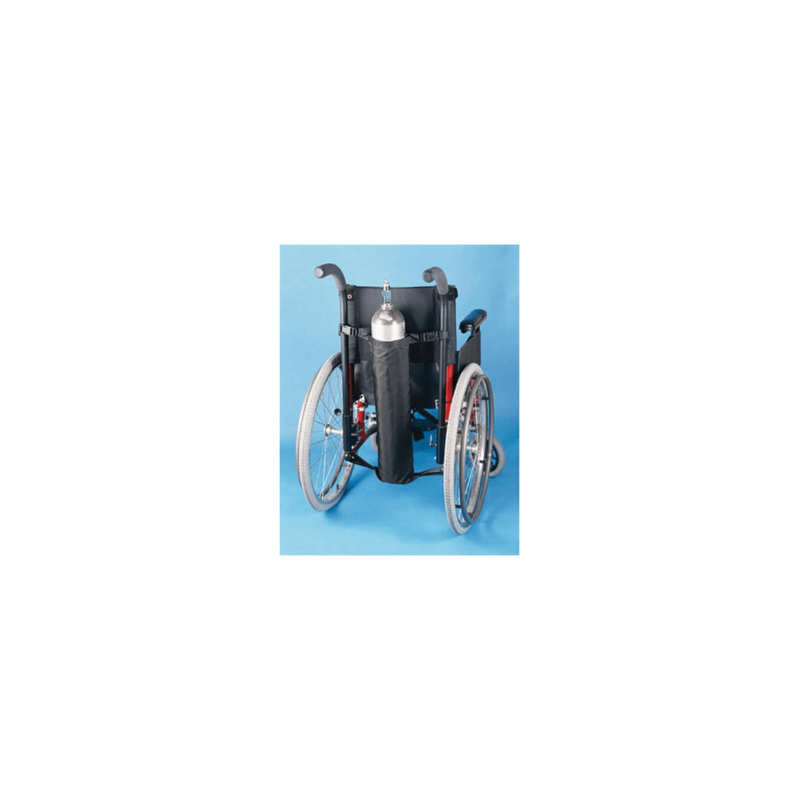 descriptionAbleware Oxygen Tank Holder for Wheelchairs Lightweight Fabric - Fits "E" sized Oxygen cylinders. The Ableware Oxygen Tank Holder for Wheelchairs is made of heavy duty, waterproof black nylon fabric and is designed to fit Size "E" (26" long) oxygen tanks. Minimum effort is required to lift and position the tank into the holder which is strapped off-center to the back of the wheelchair to avoid interference with the user's head or back. U.S. Patent #5,288,001 Patents in Germany, France, UK, etc.